Provide comfort for the family of Donald Wilson with a meaningful gesture of sympathy. Donald Evans Wilson died at his home in Sarasota, FL on Tuesday, January 29 after a long illness. He was born in Hastings FL in 1928 and raised on the family potato farm, learning to fly as a teen, dusting the crops. This skill led Don to volunteer in the Civil Air Patrol by flying the Florida eastern coast in search of enemy subs as he was too young to join the armed forces during World War ll . He moved to Palatka as a young adult. He had a profound passion for fishing and quail hunting. Popular Mechanics magazine featured him in an article written by Wynn Davis. He was also known for his gift of raising and training bird dogs for dove, quail and duck. Don was a founding member of Christ Independent Methodist Church. He retired from Georgia Pacific in 1993 after thirty-six years. His passing has left a permanent void for his family. His sparkling blue eyes and dry sense of humor will be so very missed. Preceding him in death were his siblings Hugh Wilson, Bill Wilson, Florence Walsh, Elizabeth Sommers, Ernestine Shepard and Virginia Pastor. Don is survived by his wife of 66 years, Lorraine Taylor Wilson and two daughters, Dana Straker and Dee Wilson, grandson Jason Straker, great-grandson Eli Straker and sisters- in- law Betty Wilson and Melba Knowles. Don has 12 nephews and 12 nieces. His nieces are Diane Suckow, Lynn Harris, Dorinda McKenzie, Gayle Reed, Debbie Cline, Kathy Ward, Jan Wolff (deceased) Ann Marie Fish, Karen Reese, Sharon Watson, Adele Sommers, Cindy Dyess, and Jo Anne Pastor. His nephews are Paul Wilson, Tommy Wilson, Scott Wilson (deceased ), Richard Walsh, Skip Shepard, Don Pastor, Gary Pastor ( deceased ) Robert Pastor, Billy Taylor, Ron Taylor, Don Taylor ( deceased ) and Marvin Dyess . A service will be held at 2 pm. Sunday, Feb 3, 2019 at Johnson-Overturf Funeral Home, 307 S. Palm Ave. Palatka with Bro. Michael Hudson officiating. Visitation will be Saturday from 5-7 P.M. at the funeral Home. Interment will be at St. Monica Cemetery in Palatka. Memories and condolences may be expressed to the family at Don’s Book of Memories page at www.johnsonoverturffunerals.com. 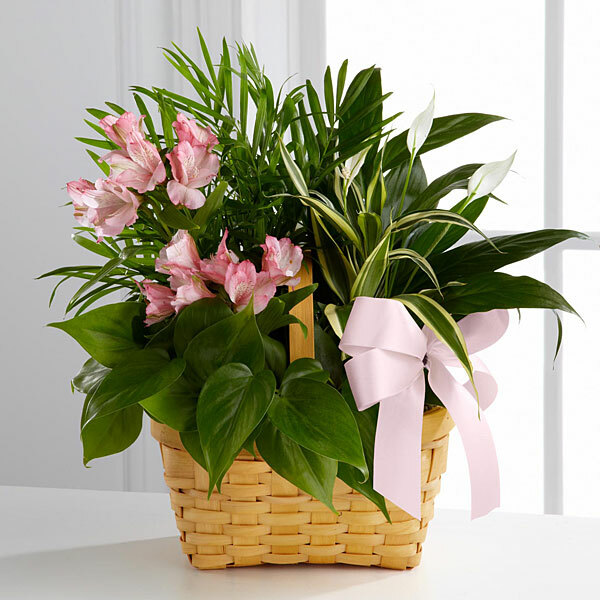 To send flowers in memory of Donald Evans Wilson, please visit our Heartfelt Sympathies Store. Kathy and Bob Ward sent flowers to the family of Donald Evans Wilson. Kathy and Bob Ward purchased the The FTD Living Spirit Dishgarden for the family of Donald Wilson. My deepest condolences to the family for this tremendous loss. May the words found at Isaiah 26:19 bring you comfort in knowing that you will one day see Don again. Isaiah 26:19 "Your dead will live. My corpses will rise up. Awake and shout joyfully, You residents in the dust! For your dew is as the dew of the morning, And the earth will let those powerless in death come to life"
Aunt Lorraine, Dana, Dee and family, Please accept our sincere condolences at the death of uncle Don. Though we didn't have the opportunity to spend as much time in his company as we would have wished, we enjoyed each visit we made to your home and will cherish the fond memories of being in the presence of the world famous bass fisherman. Our prayer will be for your comfort during this time by the Lord's sovereign grace. Soli Deo Gloria!